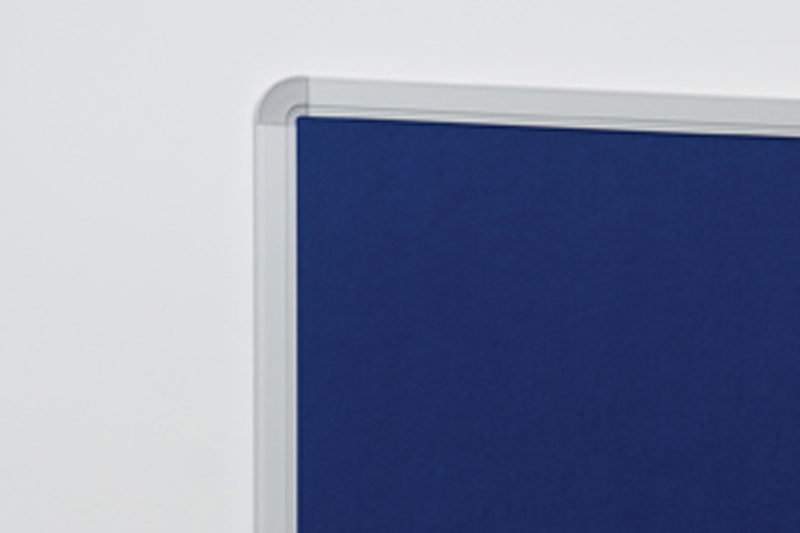 This deluxe noticeboard complies fully to Fire Retardant standard Class (0) as recommended for use in corridors, escape routes and large unsupervised areas in public buildings and institutions. Ideal for use in schools or any public buildings. Our British Standard and European Fire Test certificates are available upon request - please call us on 01733 511121 for more information or to request a copy. The board core substrate material is fire rated recycled material which is stable and hard wearing. 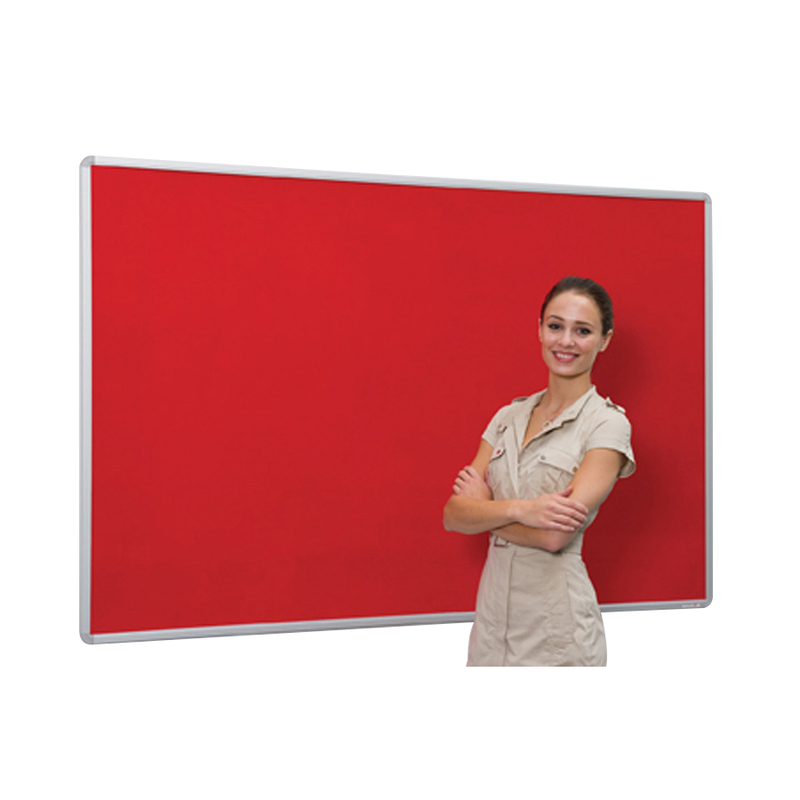 The noticeboard is covered in fire rated fabric which is available in 4 colours - grey, red, blue and green. There are 6 sizes to choose from and each one can be fixed in either a portrait or landscape orientation. Wall fixings are included. The anodised aluminium frame has rounded corners and concealed corner fixings. Please note: We can provide a fitting service on all bulk quantities. For more information please Contact Us or call us on 01733 511121.